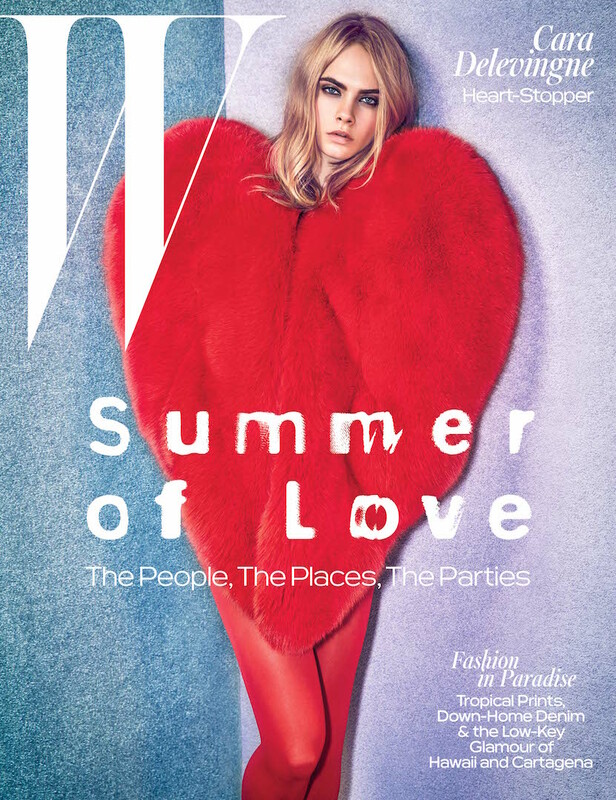 Cara Delevingne graces W magazine’s June/July cover, and in the interview with Lynn Hirschberg, the model and actress talks about her upcoming movie, Suicide Squad, dreaming of being Spider-Man as a child, and dressing up as the Spice Girls. PHOTO CREDIT: Mario Sorrenti for W magazine. Cara Delevingne stars in Suicide Squad (out August 5), alongside an all-star cast, including Margot Robbie, Will Smith, Ben Affleck, and Jared Leto. She’s always up for an extreme adventure. “I like anything intense,” Delevingne said. Styled by Edward Enninful, Cara wears Saint Laurent on the cover. Inside, she showcases looks by Chanel, Dior, Prada, Balenciaga, Alexander McQueen, and more.